The Vollrath 30422 Super Pan V® fourth-size steam pan has reserve formed, flattened edges, along with reinforced corners for strength. Corrosion resistance is added by its stainless steel construction. Smooth corners simplify cleaning while helping release product. The Vollrath 30422 fourth-size steam pan has a 1.8-quart capacity. Read up on pans in the guide for steam pan sizes article. 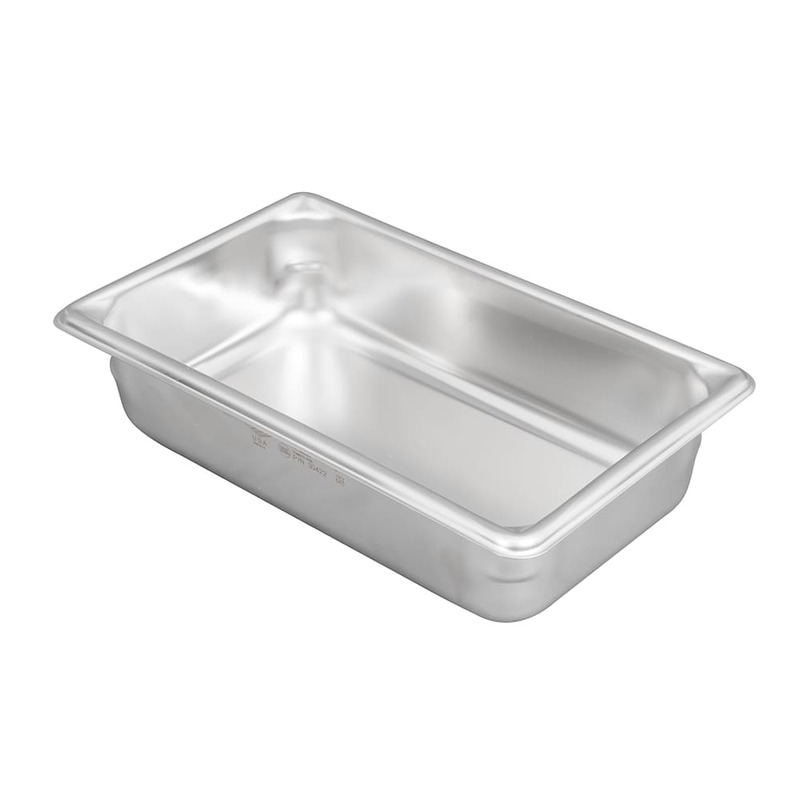 "Vollrath pans are better quality than others that I looked at online."